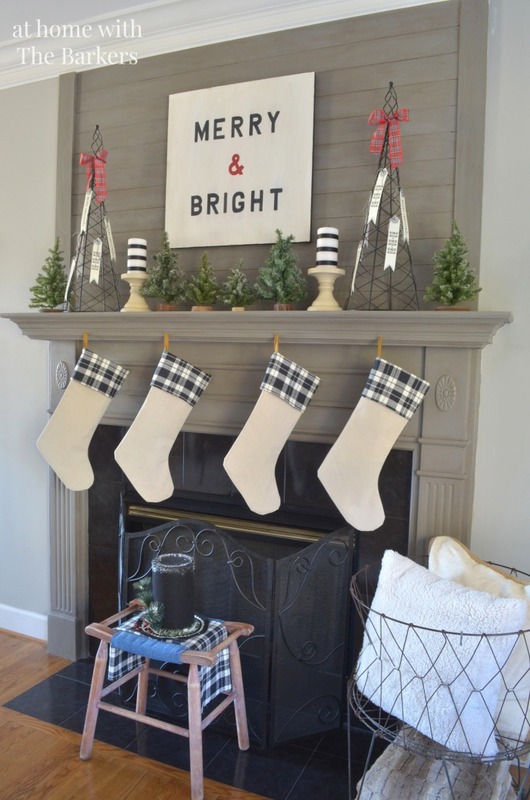 This year for my mantel decor I decided to make DIY Drop Cloth Christmas Stockings! Of course I had to add some plaid! It’s a classic and it’s all the rage this season. I had bought some plaid fabrics to make scarves but once I got it home decided to use the black and white for my stockings. The drop cloth works so great because it is a stiff fabric and can hold a great shape. 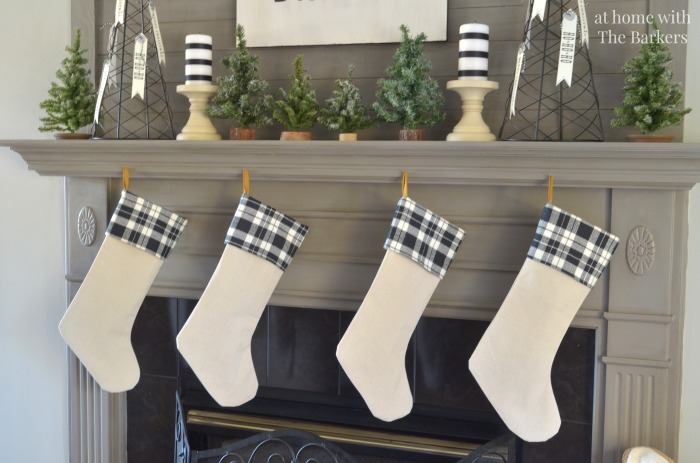 It’s also VERY inexpensive and you can buy only a small one to make 4 stockings. I had made stockings years ago with my mom and sister. I used one of those to trace out my pattern. If you don’t have a stocking to use as a pattern here are the measurements. 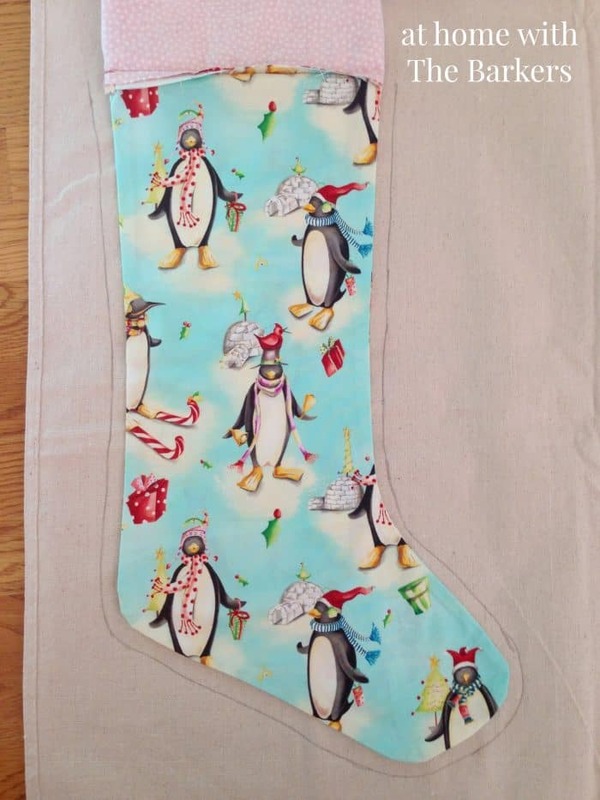 That penguin stocking is one of my favorites that we made…ADORABLE!! 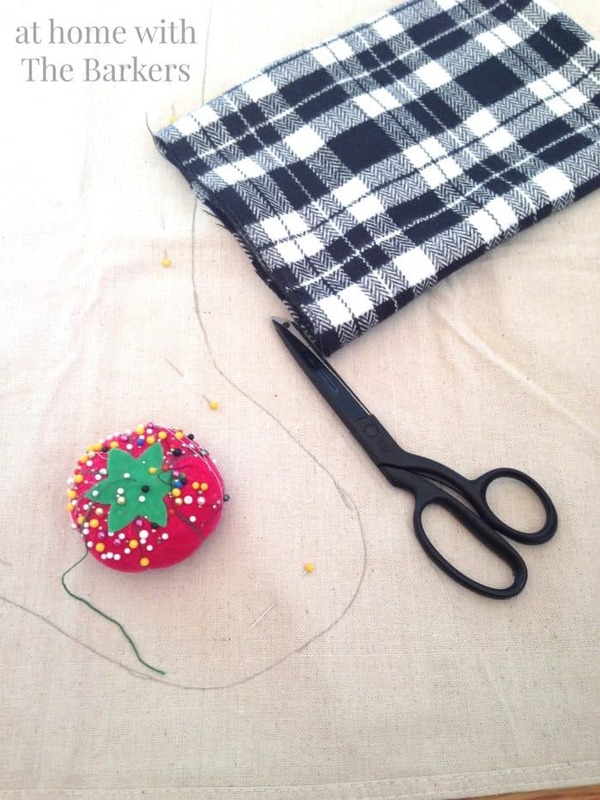 After you get your pattern cut out here are the steps for sewing. -Sew stocking together inside out along the outer edge leaving top open. 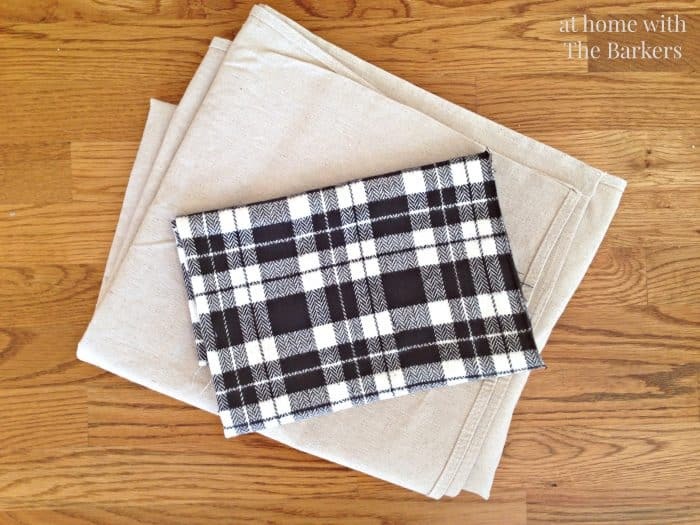 -Sew along one long edge of plaid fabric to make a hew. I used a 1/4 inch hem. -Fold flap together keeping the fabric inside out. Then sew the side together leaving the top open. -Slide the flap over the top of the stocking (both remaining inside out) and sew the body and the flap together by sewing around the top edge. -Before closing completely at the top, you need to add the hook in. 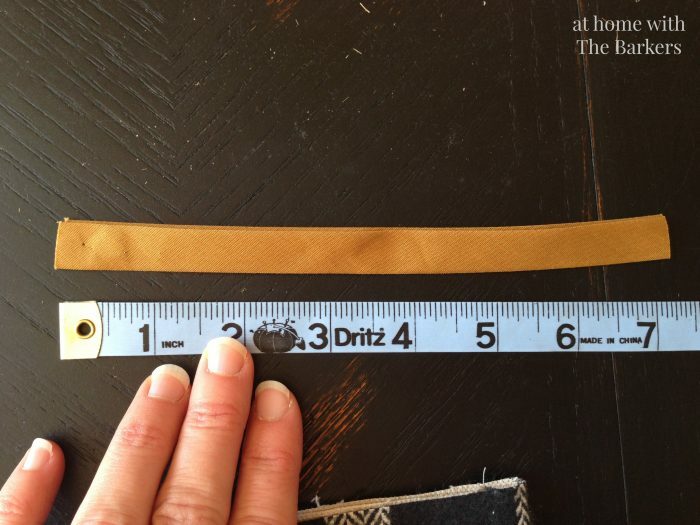 I used this gold fabric/ribbon I had but you can also use cording or regular grosgrain ribbon. Fold it in half, slip it into the side of the stocking where you normally see them and continue sewing the stocking body, flap and hook all together. The sewing part is pretty straight forward and easy lines. 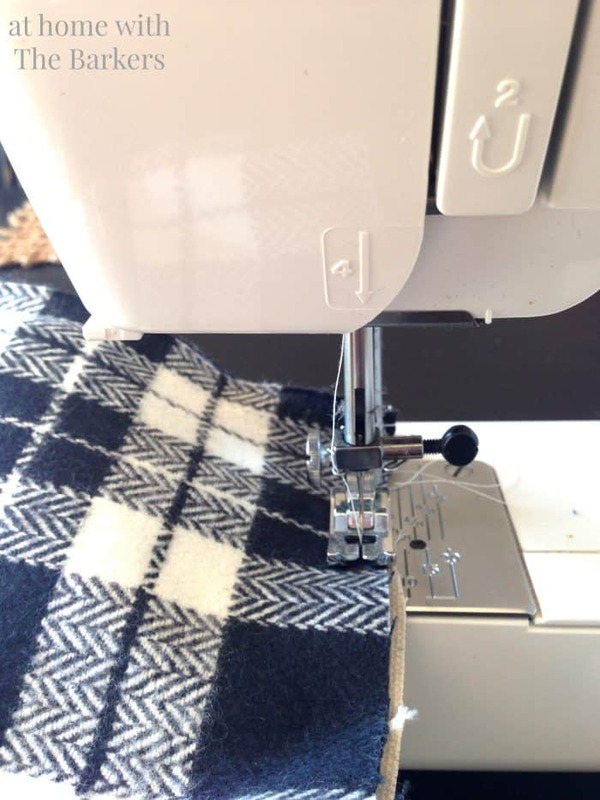 The most important part is the way you have your fabric when you sew them together. 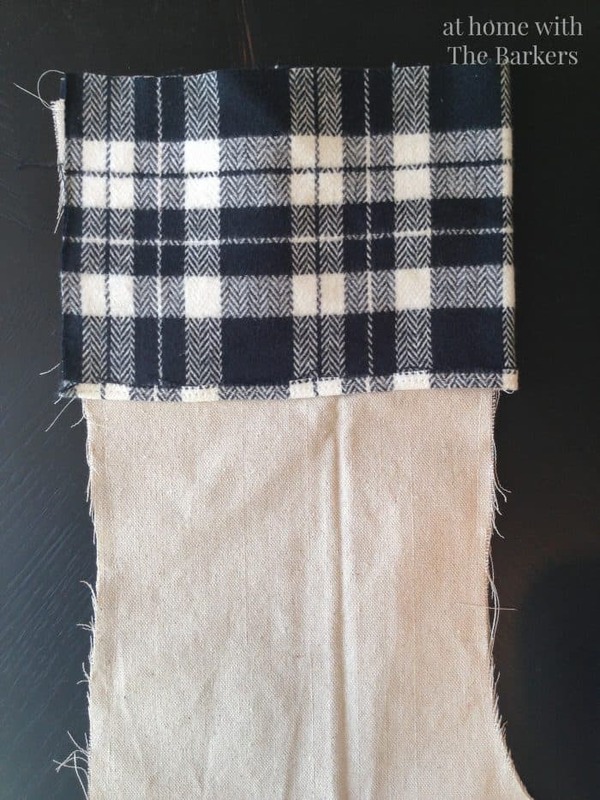 The plaid looks the same no matter which way you flip it but if you have a fabric with an obvious front and back be sure you are sewing them together inside out. I think they turned out super cute and my family really like them. The entire Christmas Mantel photos are HERE. AND see lots more Christmas Mantel Inspiration HERE. 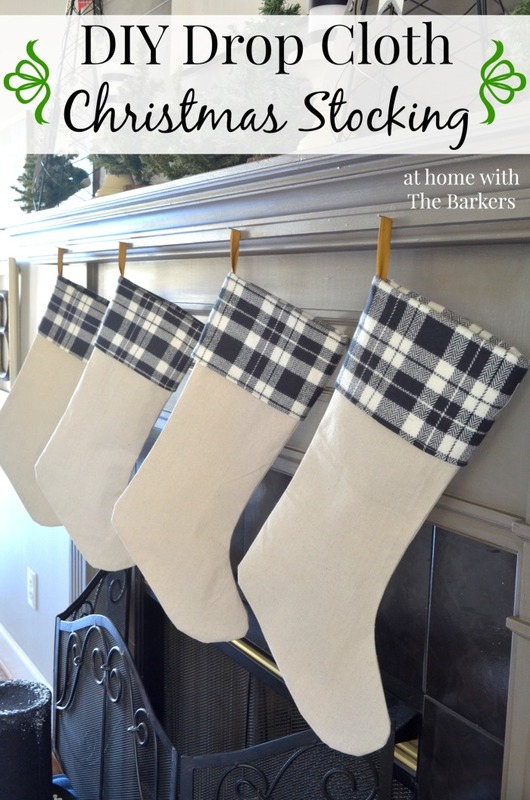 After you make new stockings you may want to make the Pottery Barn Inspired Christmas Sign as well to decorate your Christmas tree with! Speaking of Christmas trees, you should see my plaid garland! This is such a great tutorial, you did such a great job and I’m going to save this. Love fabric you used for cuffs. Found this on Facebook, So glad I did as I found so many wonderful posts. Need to spend more time on Facebook. Your stocking are exceptional. I’ll be looking for some great plaid fabric myself. By the way, I picked the plaid fabric up at Jo-Ann Fabric and Craft Store! It was on sale for $5 a yard. Pinned, love the idea of the plaid! 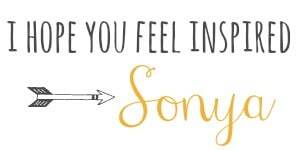 LOVE this project, Sonya. What a great idea to use a drop cloth. This year everyone in our family is giving everyone else a stocking for Christmas…. I’ll be making these for sure!!!! I’m featuring this post on Saturday’s Fabulous Finds! Thanks! You are so sweet! Thank you for the feature. Love the idea of gifting them! Love your mantle, Sonya. Can you share the paint colors on the wall and mantle. Thanks! Sure, the walls are Mindful Gray and the mantel is Gauntlet, both Sherwin Williams colors. Thanks for the info. Have a wonderful Thanksgving. These are adorable! I have my drop cloth and was watching for a tutorial on how to make my stockings! Thanks for sharing!! Great! Good luck making your stockings. Thank you! I think I may change out the top fabric for this years decor. I’ll be sure to share if I do.